✅ Trip Verified | Copenhagen to Singapore. Best airline to travel especially for long haul flights. Good entertainment, good hospitality, nice selection of food, drinks and snacks. The Crew were very polite and full of smiles. I will definitely fly with Singapore Airlines again! ✅ Trip Verified | Shockingly rude staff, I had flown Singapore as a child with the fondest memories. Had paid double our tour group and opted for Singapore over a low cost Asian airlines. Totally regretted it - staff so rude to the children. Food awful. No drinks offered except one with meal. Total waste of thousands of dollars, our group had an outstanding experience with the low cost carrier. ✅ Trip Verified | Hanoi to Cape Town via Singapore. I was very dissapointed with the way things were handled on 3 March 2019 before the flight, I was unable to board my flight, I let Singapore Airlines know via email, also tried calling but was unable to get through. I had to wait until Monday for anyone to help me and then got charged for a new flight ($584) due to missing the flight the day prior, even though I had notified the airline 6 hours before flight that I was going to miss it due to my Visa approval not arriving on time. Having paid this amount along with penalties for missing my previous flight has left me in a difficult financial situation so I'm not impressed. ✅ Trip Verified | Frankfurt to Singapore. I have flown a couple of times with Singapore Airlines in the last two years and every time it is been a perfect experience due the staff and service offered on the plane. I have not me such dedicated and hard-working attendants on any other airline than in Singapore Airlines, as well as the quality of the food offered on their business class flights. The same great experience, as always, was on my last flight. I was also very happy with the service at check-in that is perfectly smooth and efficient. ✅ Trip Verified | Singapore to Hong Kong. Singapore Airlines is usually my family's airline choice because of the great service, seats and special assistance (I travel with a wheelchair with a Yamaha motor and battery). Checking in going to Hong Kong and leaving took a while due to the staff being unfamiliar with the chair. The check in staff going did not not pass information to the gate agent was asked the same questions again. When we landed in Hong Kong, the wheelchair had a bit of damage but was settled by the ground staff. Upon return, we were told to wait somewhere for the wheelchair but it turned out to be at baggage reclaim. Both flights were very good despite the issues on the ground which I wouldn't blame Singapore airlines for. The cabin pressure on the A350 was minimal compared to other aircraft. If you need special assistance traveling I would recommend flying on Singapore airlines. 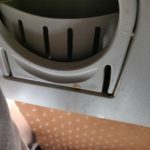 "aircraft that was so cold"
Not Verified | My wife and I flew Heathrow to Singapore return we have never flown in an aircraft that was so cold even with our coats on and using the blankets provided it was freezing. Also the food provided was amongst the worst had on a aircraft. It’s a shame because the seats were fine and the aircrew fantastic. Also no delays at checkout and Singapore airport must be on of the best around. ✅ Trip Verified | London to Perth via Singapore. Having flown with Singapore before I was sure that they would be helpful and accomodating as we flew with our 5 month old to visit family at Christmas. We checked in the pram and car seat after paying to have them wrapped at the airport and had arranged to have a bassinet seat for the flight. This was all arranged with no problems. However, around an hour into the flight I was very aware that my baby needed to be changed. I went to queue for the toilets and there was 6 people ahead of me in the queue. 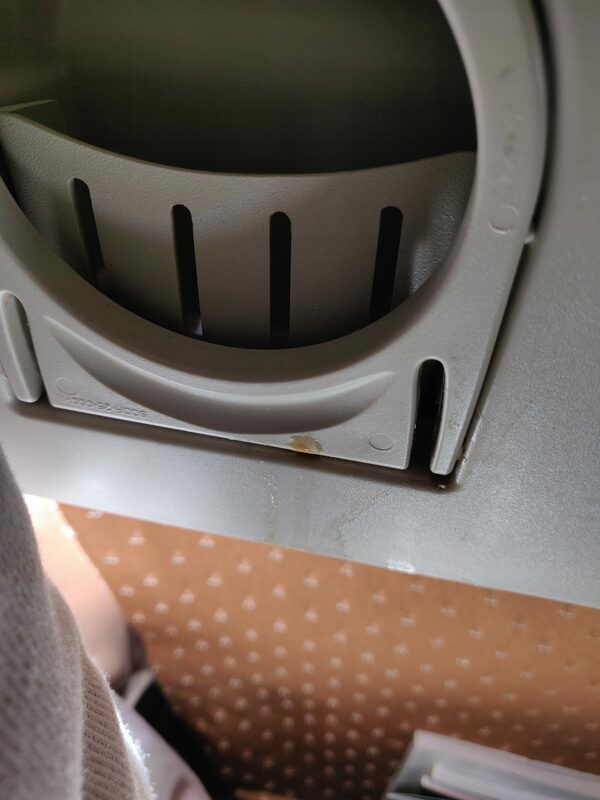 My baby began to scream, I’m sure to the discomfort of the other passengers. I was very aware of this and decided to try and find another bathroom with a smaller queue. The only one with no queue and a change table was in business class. As I approached, one of the cabin staff asked where I was going. I said “sorry, my baby is screaming I just need to change her” she said “you can’t use these toilets you have to go back” I explained the queue situation but she wouldn’t budge so I had to go and queue with my child screaming and all the other passengers glaring at me. When we arrived at Perth airport we were annoyed to find that out pram was broken. Despite having it wrapped, it had been broken through the wrapping and the footrest was hanging off despite the fact we had only had it for 5 months. I checked the airline policies which stated we were covered up to a certain amount so I emailed them within 48 hours with the relevant forms, photos of damage, boarding passes and purchase receipts. They responded after a few days with a very unprofessional email basically requesting the same information I had already sent. I sent it again. Twice. They sent another badly worded email asking me to drop it off somewhere for assessment. By this point we had been back with our taped up pram for about two weeks. I responded explaining that it’s the only pram we have and we couldn’t drop it off. We had done everything they had asked. I never heard anything back. We were very disappointed and annoyed with the way we were treated both on the flight and the way our complaint was dealt with. I would never fly with Singapore airlines again which is a shame because I had flown with them twice previously (without an infant) and had a very positive experience. ✅ Trip Verified | Manila to Dubai via Singapore. This flight was better compared to my DXB-MNL experience. Crew were genuinely friendly. Greeting and talking to you with smile. They offered beverage options several times. Food was ok though. I was still looking forward to their IFE. Great option to save a playlist. Seat was comfortable. Not a fan of their 3-3-3 seat configuration but I was able to select a window seat at the last row of the mid section with only 2 seats. Big plus factor to the overall experience is the Singapore Changi Airport. ✅ Trip Verified | Singapore to Los Angeles via Tokyo vv on SQ012 and SQ011. Both flights are operated by Boeing 777-300ER. Both trip's check in was quite fast and efficient, the staff was very helpful. The cabin crew was kind and helpful. The entertainment system has good content and responsive touch screen. The food was good. Overall, it was a pleasant experience for me. ✅ Trip Verified | I would like to express my gratitude for the superb service we received on our recent flight from Los Angeles to Mumbai via Singapore. We are two seasoned travellers, both very accustomed to long-haul routes. The A350 is a superb bird! It has to be said that the service provided in all four of the legs with Singapore Airlines was exceptional, from beginning to end (both on the ground and airborne); all staff where extremely professional, yet fun, friendly and accommodating to all passenger's needs. This cabin crew in particular who looked after us on the long, SQ37 flight from LAX to SIN on 14/03/2019, provided beyond exceptional service. They were actively and consistently attending passenger's requests, as well as checking that we were happy and well looked after, for what appeared to be the whole duration of the flight, or about 17+ hours. It was so satisfying and reassuring to see the dedication that this particular team had for their duties, as well as a clear love of the job. Great ambassadors for such well regarded airline such as SQ. We just simply couldn't had hoped for a more enjoyable journey. It is now clear to us that Singapore Airlines deserves to be the world's best airline. We are truly looking forward to our next Singapore Airlines journey, which we hope will take place in the near future - this new experience in air travel has opened a new and fascinating window in our holidays.